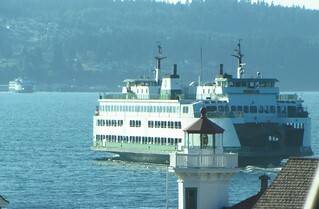 It seems like a good place to view vessel on the Mukilteo-Clinton route. Was it a good? 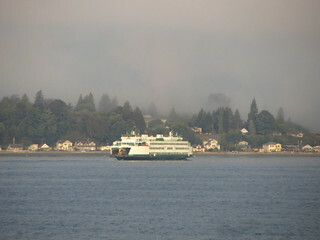 These pictures were taken at Mukilteo Lighthouse park, just south of the ferry landing. 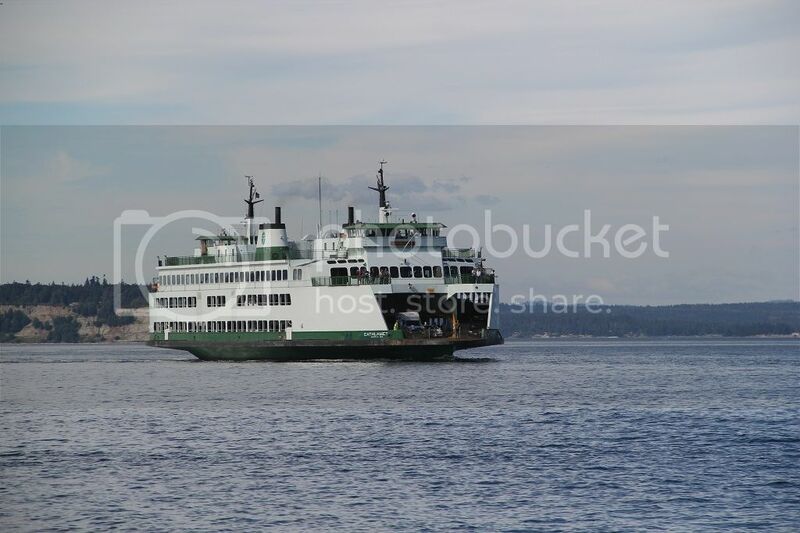 You can get some good shots of Mukilteo, the route and Clinton if you have a good zoom. 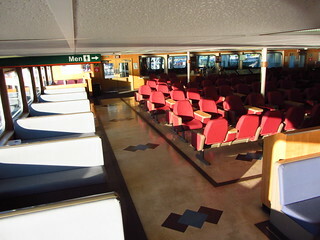 It also has those boat launch floating pontoons to get an extra 15 meters or so into the sea. 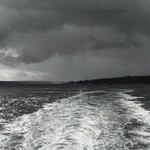 Do not go too far in heavy seas or you might get splashed (happened to me once, I'm glad I didn't have the camera). And finally, the "life ring award". Never heard about it until then. 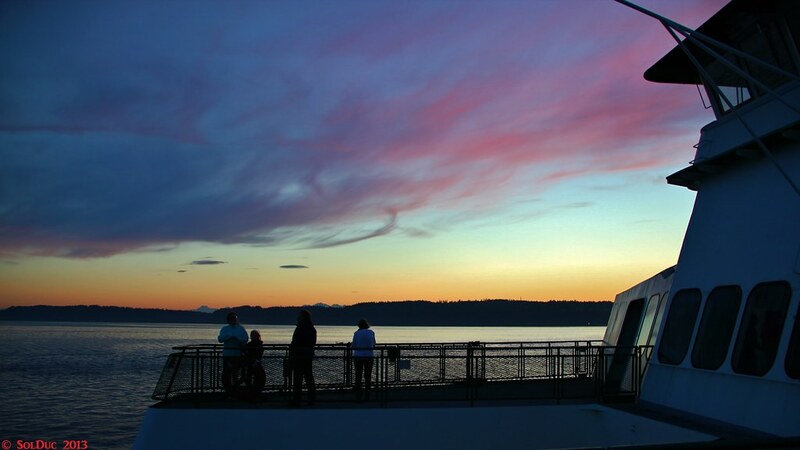 During the time in July when we were having the very unstable atmospheric conditions. I really wanted to get lightning striking in the photo, but no such luck. 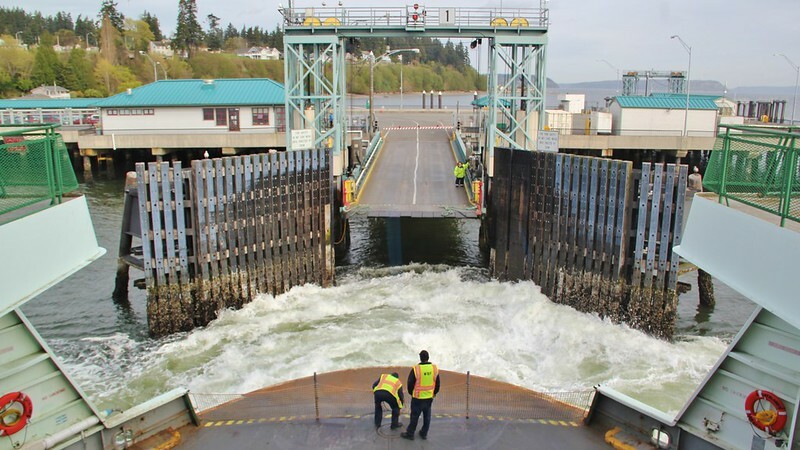 We had the Cathlamet for a day in June because she had some generator problems and her normal crew wanted the #1 boat to be the one operating. Why don't they allow access up on the upper deck on the Issaquahs, I looked at all the Issaquah classes pages and I can't find it. 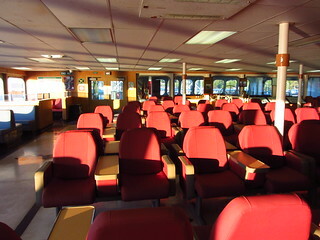 Some photos of the Cathlamet taken last Sunday. One of these days I'm gonna go up there and hitch a round trip ride on the Kit-Cat. That'd round out a SuperSlam of the Issaquah-class Sextuplets. 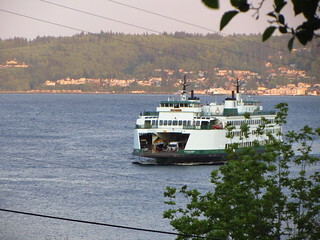 I rode the Cathy today from Mukilteo to Clinton. 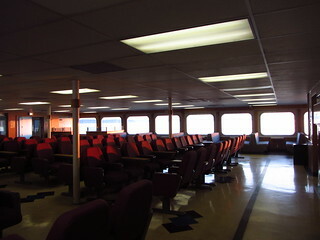 The boat wasn't full, but the main car deck was fulled by only overheights (and it was transfered to two lanes instead of three). Who says the sun never shines on WA? Hey, Guys! 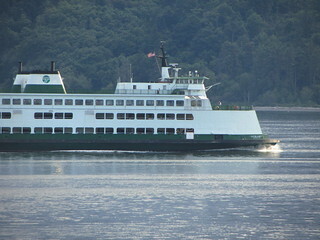 I am Curious: It said On the WSF alert bulletin that the Cathlamet was back in service after mechanical problems. Do you guys know what Exactly Happened? 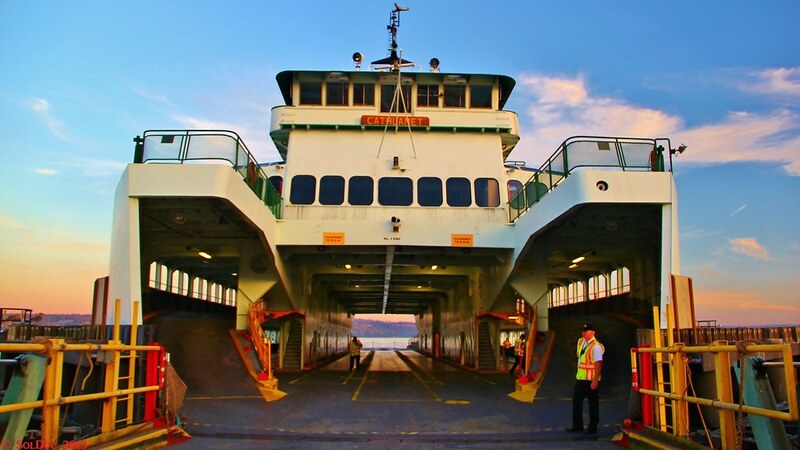 I noticed that the Cathlamet's stack pipes are taller than the other Issaquah boats. Why are the pipes taller? 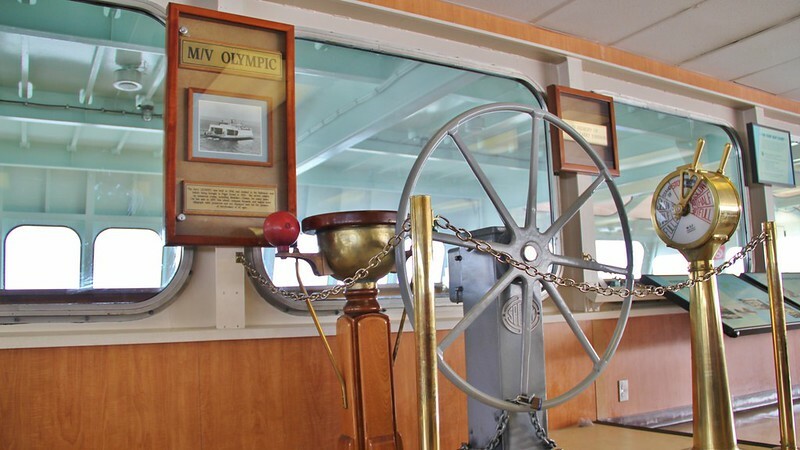 I'm a bit surprised that the Cathlamet, with its display on the Olympic, would be chosen to move to Vashon, over the Kittitas. Does anyone have insight into why it might be? I don't know, but it's a disappointment. I was really hoping the Kittitas would be displaced. Of course I'm intentionally overlooking much of the Cat's "colorful" history of dock eating and so on as that's not really relevant anymore, but it has been my impression over the years that Kittitas is also the more reliable of the two and remains to this day. 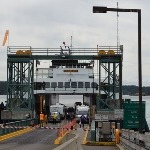 That said until the new terminal is finished a 144 is a blatant waste at Mukilteo. 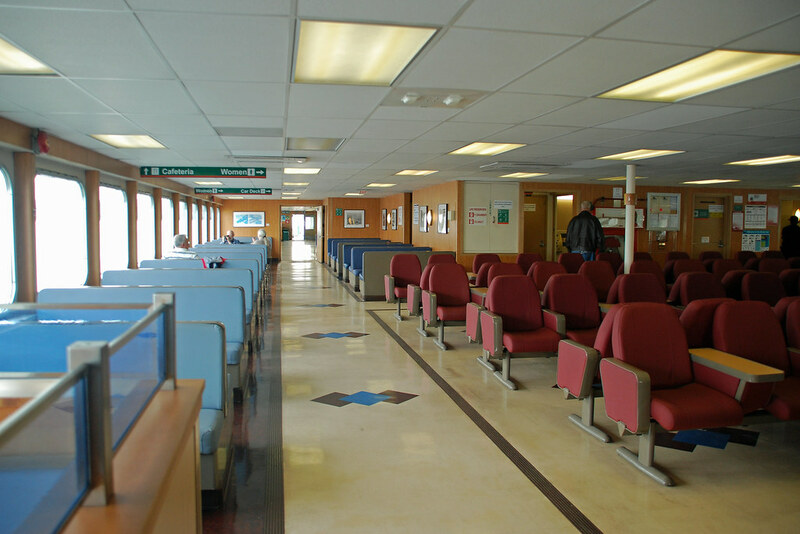 They won't have time to fully load the boat before they have to leave if they want to hold the schedule. 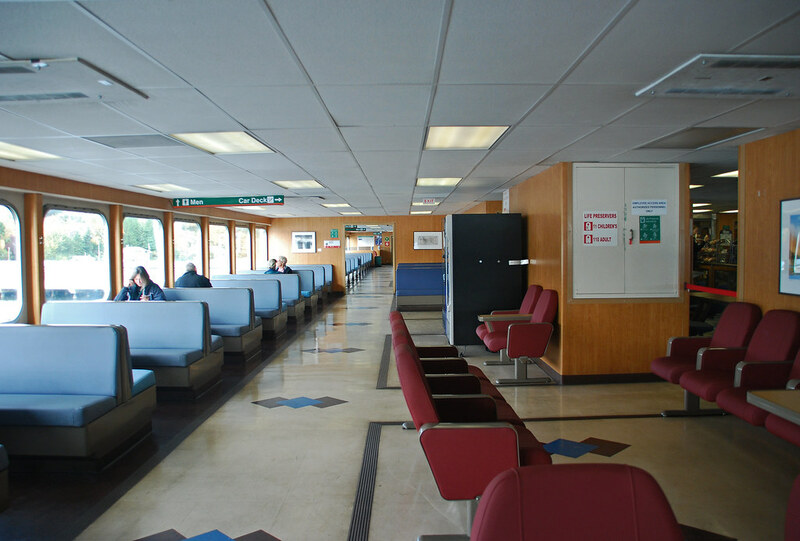 Tokitae should be sent elsewhere until 20167 when the new terminal is done. The big TOKITAE should be able to hold onto the schedule as she'll have a handsome speed. 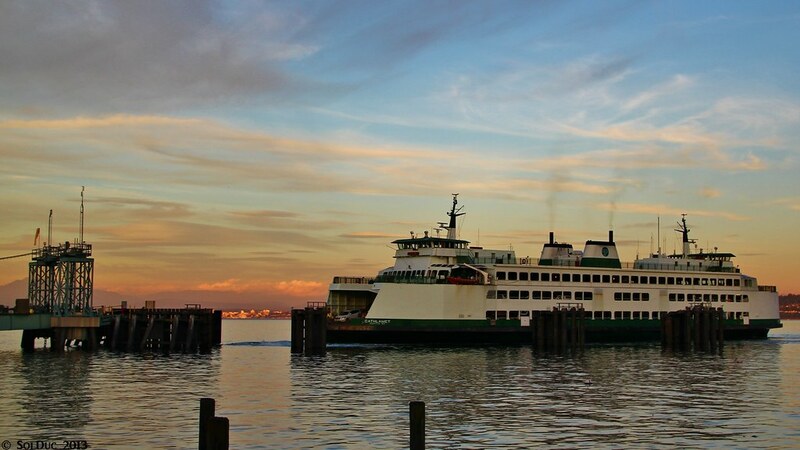 Also, if Mukilteo must be closed for some reason, TOKITAE will do well on the detour to Edmonds, just add another vessel to supplement the KITTY. 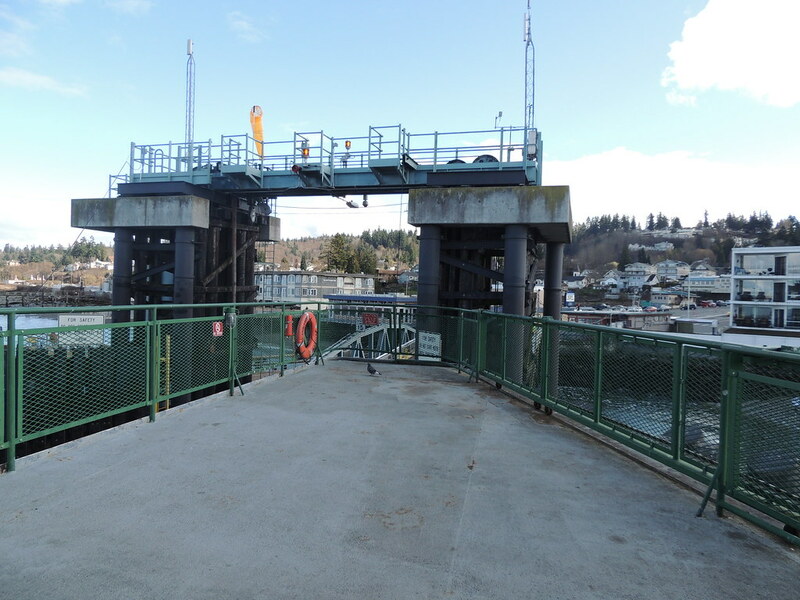 Back in the spring of 1982, we had the reroute as Mukilteo was being permanently upgraded for the deeper draft I-Class (the wing walls, tower, and transfer span were moved out over deeper waters). 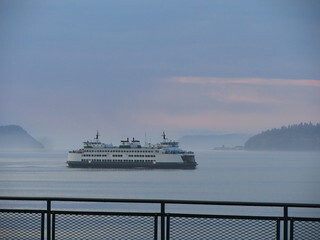 The ILLAHEE and NISQUALLY had said goodbye to this route when the CATHY and KITTY arrived at Columbia Beach to begin the reroute. 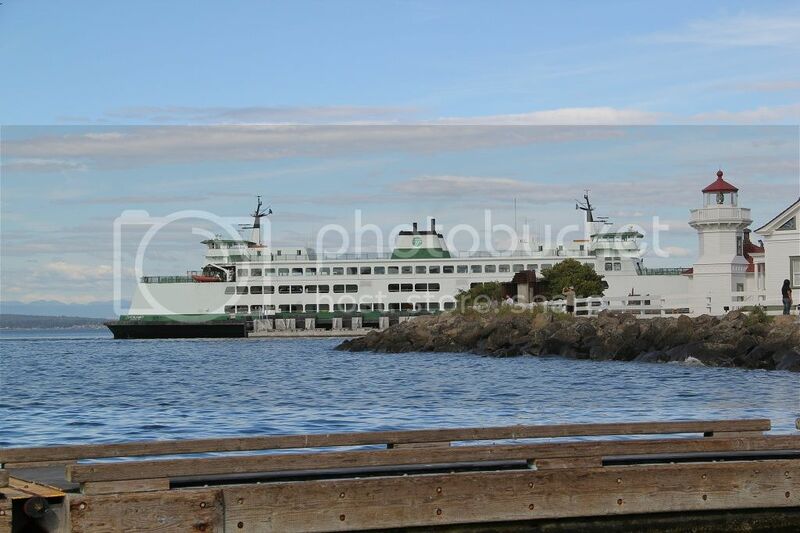 We had the HYAK one weekend on the detour. 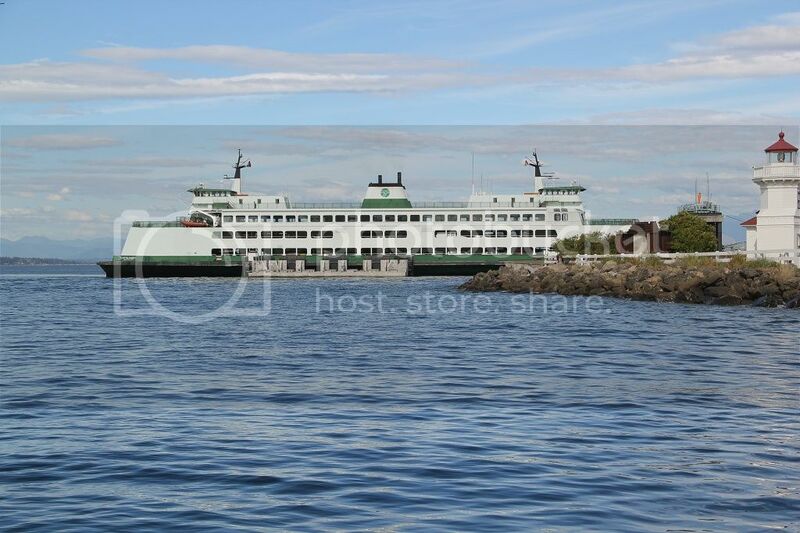 Then, the reopening of Mukilteo. 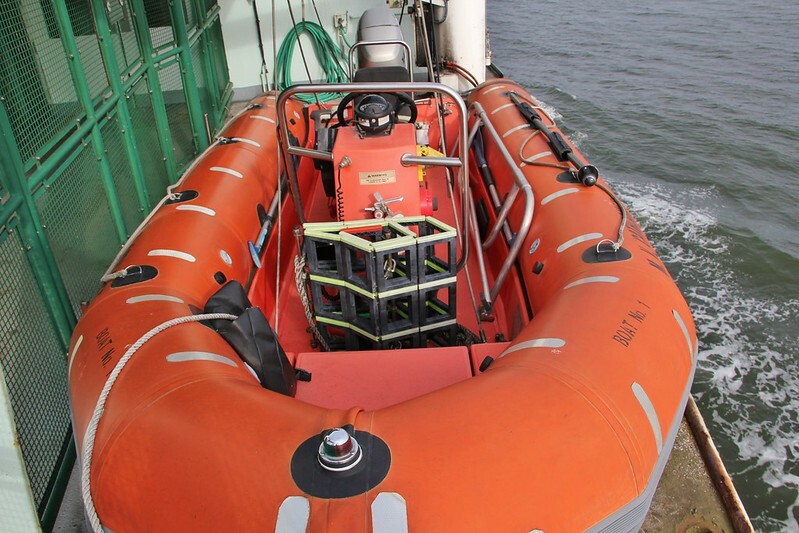 The I-Class have been steady workers on the run, except for a few rare downgrades during vessel assignment crisis episodes in the Evergreen Fleet. 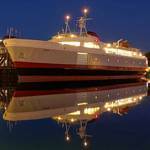 We haven't seen three vessel service since the arrival of the I-Class on this run. 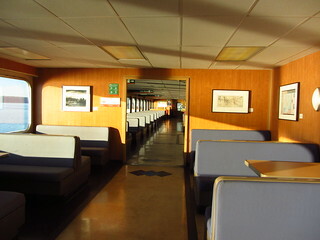 In addition, we had two tie up slips at Columbia Beach besides the two service slips as we had rare four vessel services on this run before 1973. 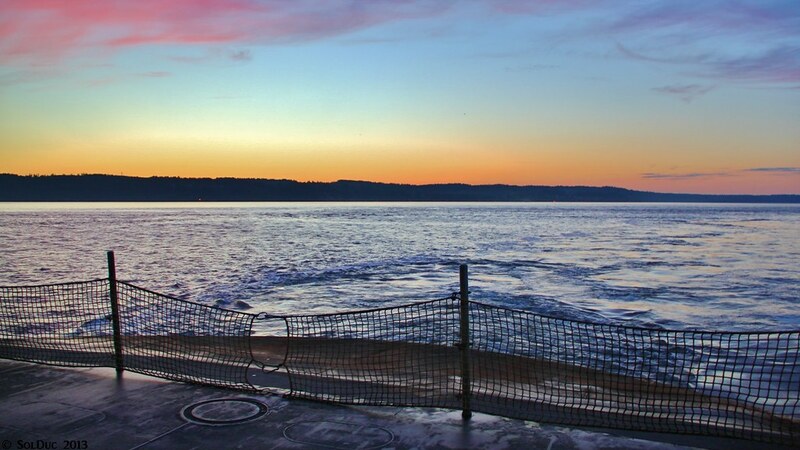 The third slip was home to the OLYMPIC, which was used as a dock for a passenger ferry service to Mukilteo during the 1982 reroute (the plank of the third slip was upgraded to one more suited for public use). 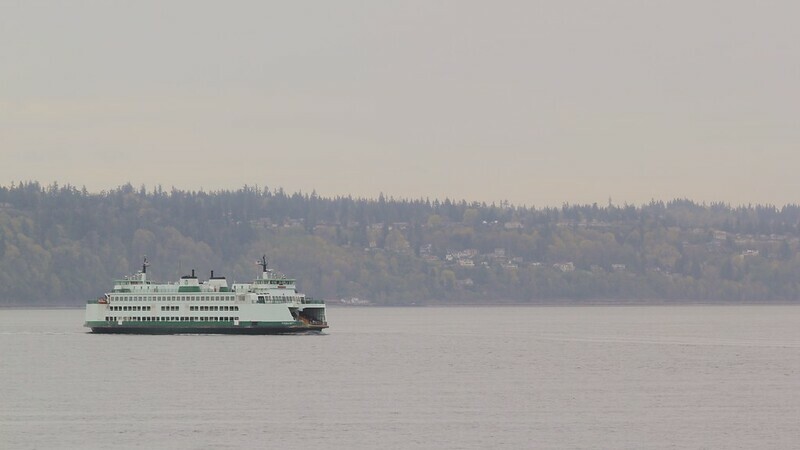 The fourth slip was occupied by the KULSHAN, in storage then before her final assignment at Tahlequah and her big voyage to the east coast via the Panama Canal. Assuming she proves to be 2 knots faster than an Issy and discounting time spent on maneuvering and docking over 2 1/2 miles 2 knots will gain you less than one minute of crossing time, in that one minute you will have to move at least 20 additional cars. Or 40 or more if she's running full both ways. 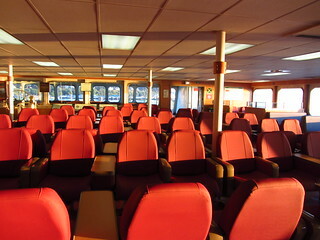 Plus pick the 10 cars up that they are leaving at Mukilteo today when it's busy. It'll work a bit better during the commute when the water front is quieter and during the winter when it's mostly locals who know the "system". 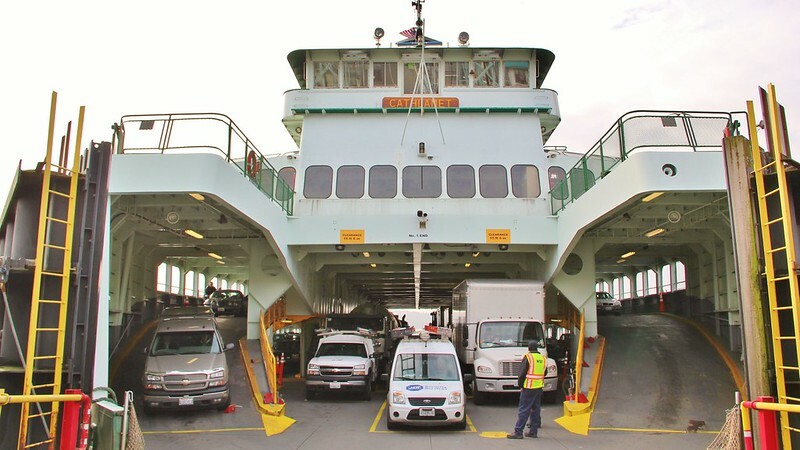 WSF felt that overhead loading and moving the terminal would reduce time spent at Mukilteo by almost 40% or 5 to 6 minutes. Thank you--I didn't want to do the math this early in the morning. 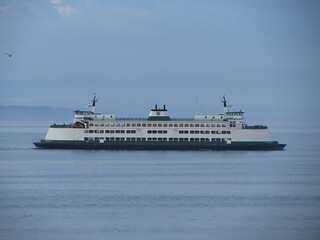 The TOKITAE is unlikely to be "two knots faster" than the Issaquah class boats--the Issaquahs aren't run at full speed at Mukilteo unless they're late. They're actually 16-17 knot boats. 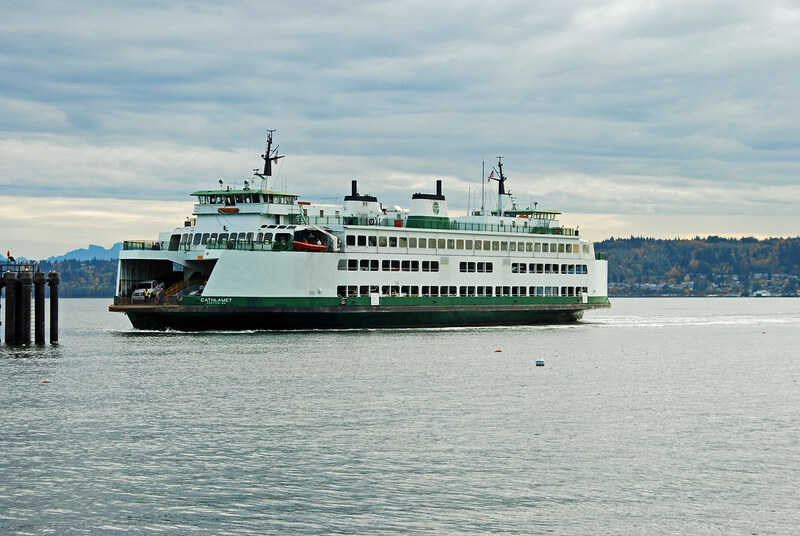 Even if the new Olympics ARE capable of 18-19 knots, they most likely wouldn't be run full speed at Mukilteo either, simply for economy (the far end of the fuel consumption curve on a diesel engine tends to be pretty steep). 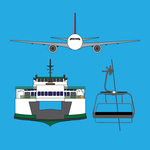 As for overhead loading... perhaps at the new Mukilteo facility, whenever it gets built. There isn't room at the existing one without knocking down either Losvar or Ivar's. But I agree, it would speed the load up tremendously. I've lost track (okay, I'm not paying attention); is there any noise going on about overhead footie loading in Clinton? 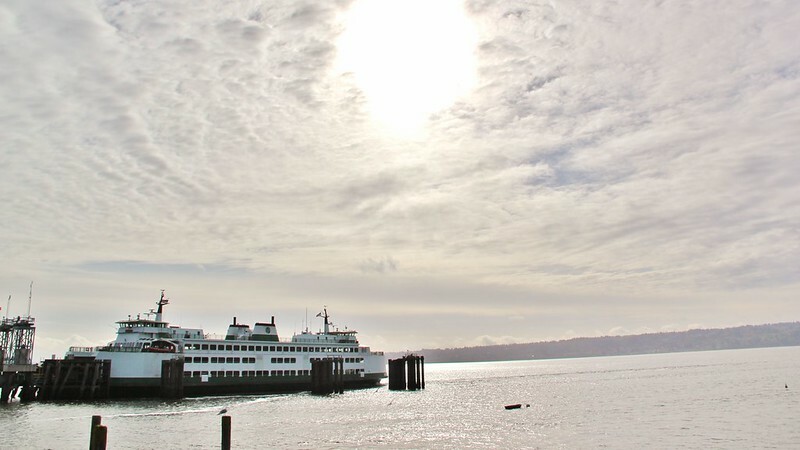 I originally thought that Tokitae should go to Mukilteo, but now I agree with chokai that it should go somewhere else until the new Mukilteo terminal is built. I'd definitely vote for sending it to Bremerton. It's not totally clear where it's going to start service. 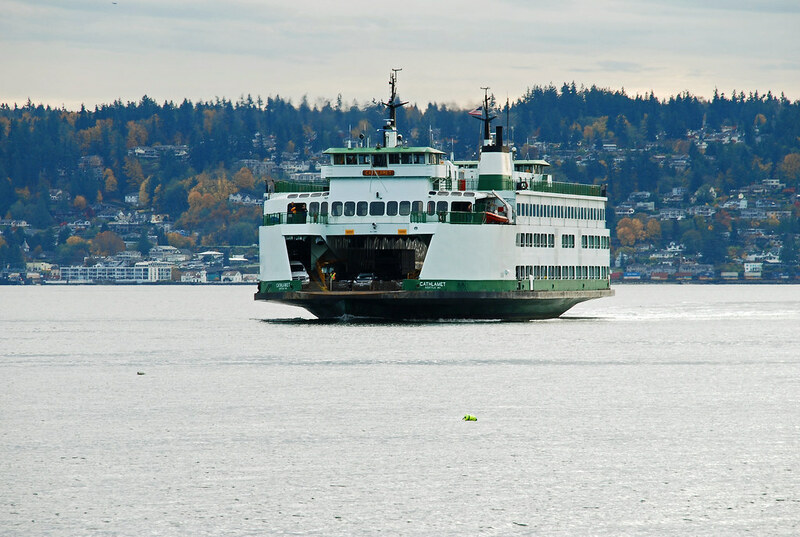 WSF can't seem to make up their mind about whether it will go to Bremerton or Mukilteo.